Shoring up foundations is very essential in every construction project. Shoring refers to the temporary support that is commonly used for the construction of buildings and even in excavation projects. It often is also used for supporting foundations for repair and reinforcement projects. 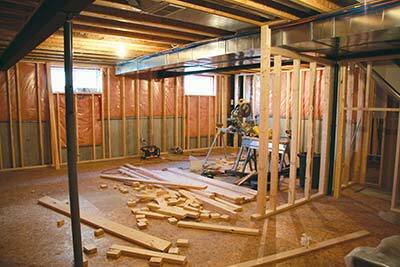 Without shoring up the foundations, the safety of the construction project can be compromised. Indeed, shoring must never be taken for granted. Single post shore. This is a vertical support that is usually made of wood, aluminum, or steel. This shoring system is best used for re-shoring. Scaffold-type frame shoring. This is tubular steel frame scaffolding that is usually used to support the workers during the construction project. This scaffolding is also used for supporting light loads of construction materials. Horizontal shoring. Horizontal shores are made of either aluminum or steel. Flying-truss system. This is supported on cast slab that is used to hold up plywood decking or pan forms. Column-mounted shore brackets. These are bolted to columns and walls that are used to support flying deck forms even without using vertical shores. Friction collars. These are almost similar to shore brackets because they are mounted to columns to support forms without the use of vertical shores. Friction collars have two bolts clamping together around the column for support. When choosing a system when shoring up foundations, the best choice is always something that can carry the load of the project. Hence, the help of professionals who have expertise with shoring must be used. A professional knowledge is very important to ensure that the right shoring system is used for a specific kind of project. In the end, the wrong application of shoring up foundations can offer threats to the whole project as well as the workers in the construction. If you live in Tennessee, North Carolina, and Virginia, Neal Ragan Construction must be contacted for shoring up foundations. We are a professional company that specializes in shoring services for various construction projects. With our team of skilled professionals knowledgeable in shoring up foundations, we are highly capable of doing foundation works for you. We have access to the best shoring systems and equipments for successful construction projects. For instance, we can work professionally and successfully on shoring up a masonry wall while it is being reinforced or repaired. Our team of experts are trained to analyze the foundation support needs first prior to deciding on the shoring system to use for safe and successful application. Moreover, we also cover reinforcement of foundations to ensure safety of every project. We can also repair common foundation problems that can pose threats to the safety of buildings and projects. This is especially true for foundation problems in old homes. Shoring up foundations is a very important component in every construction, reinforcement or repair project. With such great importance, this task must be given only to the hands of professionals. So for your shoring needs, Neal Ragan Construction can offer the best help for you.